Conventional cleaners are, to put it simply, toxic chemical cocktails that not only put your family’s health at risk, but damage the environment, too. Commercial household cleaners are heavily marketed and may seem to be the most convenient solution, but look closer and you’ll see the mounting evidence that certain ingredients disrupt hormone levels, aggravate allergies and even predispose to developing cancer. By making your own safe and natural household cleaners, you get the peace of mind that you are cleansing and renewing your home without exposing your family to harmful toxins. By taking control of what you use to clean your home, you save money, time and the environment. 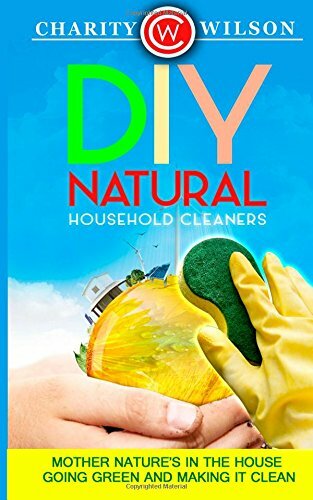 Natural, homemade household cleaners are no longer just for dedicated stay at home moms – more and more people are discovering that with a little preparation, they too can create their own personalized brand of cleaning products that are cheaper, more environmentally friendly and safer to use than anything else. You don’t need to depend on suspicious commercial products that are loaded with chemicals. Start your journey to more conscientious, sustainable and effective cleaning solutions today!